The Sick Rose is taken from Blake’s memorable poetical work, Songs of Experience (1794), a collection of poems. Blake composed the poem sometime after 1789, and presented it with illuminated borders and illustrations. The poem starts with an impassioned address to the rose by the poet. He is deeply mortified to see the rose sick. An unseen worm, which flies in the deep darkness of the stormy night, creeps in it. The worm makes its bed in the rose. It starts to bite the rose. The flower bleeds. With every bite of the worm, drop of blood is shed. The lively rose sickens. It does not know the danger it calls in by sheltering the worm. The worm thrives destroying the rose merrily. The rose gradually loses all its purity and beauty. Finally, the sickening rose meets death. As a symbolic poem, it bears a deeper meaning. The rose stands for innocence, purity, love and beauty. The worm, on the other hand, is the symbol of experience, evil, jealousy and selfishness. The deadly bite of evil makes love sick. Innocence is destroyed by experience, beauty by jealousy. So was the case with Adam and Eve, the First Men. Their innocence and heavenly glories were spoiled by Satan’s evil devices. The Sick Rose by William Blake is a perfect lyrical poem. The subject matter is simply told. A rose is sick and destroyed by the evil design of a worm. But the poem has an underlying meaning. The sick rose and the joyous worm are two opposite aspects of life. One stands for innocence and the other for experience. The former is destroyed by the latter. In broad sense, they remind us of the Fall of Men. The poet uses imagery and symbol to correlate the two layers of meaning. The poem is also marked for its sound-rhythm, fineness of feelings and brevity. The expressions like ‘invisible worm’, ‘howling storm’, ‘crimson joy’, ‘secret love’ etc. are the perfect gems of poetry. The title is also significant. The word ‘sick’ reflects the theme of the poem. The poem has a rhyming scheme of abcb. 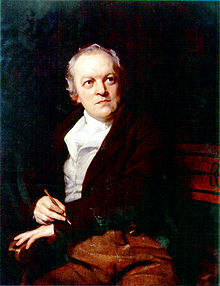 As a whole, the poem is a typical one from the pen of Blake who keeps a mark of his poetic excellence in it. Thanks for your opinion. This post will be enlarged later.